Apple’s iCloud has been under attack recently by hackers with different incidents going all the way back to January of this year. The more recent ones, were a series of threats that made the news in late March. This raises the question of just how secure Cloud-based storage really is and whether uploading all of your data to the Cloud is truly safe. Apple’s iCloud was hacked because of hackers aggressively using different methods to discover user names and passwords. For those iCloud users with strong passwords, their data was not hacked. Apple was hacked, not the Cloud. Some media outlets made it sound like the Cloud – itself – was being hacked. This was not the case and it was only Apple’s iCloud service. The Cloud is pretty much secure and safe, so long as users take steps to protect their data just like they do to protect the data on their desktop, laptop, network servers, and smartphone or tablet devices. Even though hackers are constantly attempting to access individual Cloud-based services, like iCloud, they may not even realize that out of all the data around the world, businesses and people are currently only storing about 10% of it in the Cloud. Why? 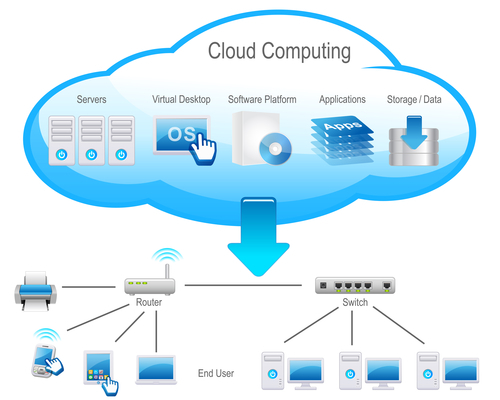 Because there is just certain types of data businesses and people are not comfortable with uploading to the Cloud. This includes addresses, phone numbers, credit card and bank account numbers, privileged data (i.e. doctor/patient, lawyer/client, etc. ), and more. For instance, banks and financial institutions are big on not using the Cloud for data storage since much of their data contains personal information, account numbers, monetary balances, and so on. Rather, they store their data on network services, backup tape drives, and other such media. Still, what some of you may not be aware of, is many of the bigger data breaches that have occurred over the past five years or so at big companies like Sony and Target were attacks on their own internal databases, not Cloud-based data storage. Essentially, in today’s society data stored internally or in the Cloud are equally at risk by hackers. This is why individuals and businesses need to make sure to safeguard their data by implementing proper data encryption methods, strong passwords, and utilize two-factor authentication processes. No matter where you data is stored, internally or in the Cloud, it also needs to be backed up in the event of a system failure. Otherwise you could potentially lose all of your data. Fortunately, whether you are a data center data storage provider, business, or individual, with a hard drive, or data drive failure, all may not be lost. There are various methods our Toronto data recovery company utilizes to help our clients and customers recover data. Best of all, if cannot recover your data, there is no charge. If you need help with data recover, get help from the experts at Taking It Mobile. 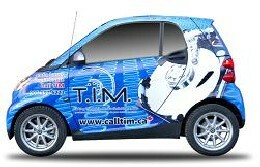 Call us at 888.877.5002 (1-888-CALL-TIM) today!